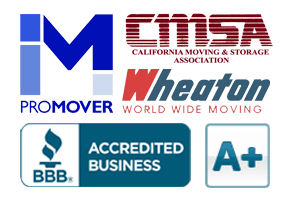 Checklist for "Open First" Box | Cummings Moving Co.
Each person or family’s last box on the moving truck is going to have contents that vary. The very last box(es) to go on the truck need to contain the things you are most likely to need within the first 24 to 48 hours in your new space. Think of it as what you would need to camp-out in your new home for a couple days while you get started unpacking. Below is a checklist of some of the items you may want to consider for your Last On/First Off box. Keep in mind that flammable items, liquids, perishable foods or damp items may not be allowed on your moving truck. Please check with your mover so you know which of these need to be hand-carried. Take-out menus and coupons for restaurants that deliver to your new home. List of the best pizza delivery places or GF/DF-friendly restaurants in your new neighborhood. Do the legwork NOW rather than having to search it out on your phone later. It may not be possible for some of these items to go on the moving truck and in most cases you will likely have these items with your pets as they travel to your new home with you. If you have questions about items for your pets, please check with your mover 1-2 weeks before your move so you know what can go on the truck.